Automatic PDF certificates generation for each class or course. Instead of having your eLearning content spread out over different hard drives and devices, you can store all of your eLearning materials in one location. Provides unlimited access to eLearning materials. Once you upload your eLearning course materials onto SmartTerm and publish them, your audience has unlimited access to the information they need. SmartTerm makes it easy to integrate social learning into your eLearning strategy. SmartTerm will provide many benefits for schools such as low-cost maintenance services, reduced management staff, total operational automation, and more time to focus on strategic tasks and even multiple campus management. 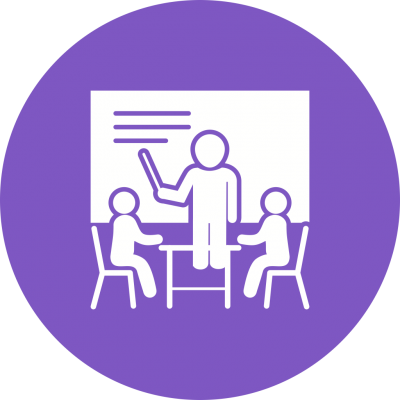 SmartTerm has various learning management methods which help in improving the teaching methods of your school. Reduces Learning and Development costs. SmartTerm gives you the power to completely do away with instructor travel costs, online training site rentals, and printed eLearning materials.